Rating startups is a thankless task. They come and go, some are still doing it part-time, holding on to a day job for income and “what-if” situations. As a study “Skill versus luck…” conducted by Paul Gaumpers of Harvard Business School and others in 2006 demonstrates, even experienced entrepreneurs have only 30 percent success rate in starting new ventures. Inexperienced ones have only 18 percent chance to succeed. I do agree, that there are certain common grounds for the Internet entrepreneurs. They are united not only by the fact that they use Internet technologies to build their businesses and rely on online marketing tools to attract customers, but also by their need in venture investors, mentorship from accelerator programs and maybe even in tech media coverage. These days such similarities are called collectively “startup ecosystem”. Still I can imagine that the investors, who like to say that they back “teams” rather than business plans, already know and have funded those startups they believe in. In fact, it is the investors who have provided the shortlist of startups for the rating anyway. So who else can benefit from the rating? Media? Possibly yes, because many tech blogs rate startups and organize startup competitions to increase internet traffic. Announcement of the rating is a news event, and here I am writing this post (after a week of delays). Also there is a notion, that it is the Western accelerators and outsiders who want to keep an eye on what is happening in Russian Internet economy and startup playground. I know you would like to finally see the actual rating, but here are some more observations first. Out of 30 startups rated in May 2011, 17 teams have not appeared either in a shortlist, or in the final rating of 2012. What happened to them I wondered, thinking of the “Skill vs luck” study? I was preparing myself for bad news. Perhaps some teams have fallen apart or moved on doing something else? But I was too quick to jump to a conclusion. In fact, the top company from the list CloudBudget, a cloud-based budgeting tool for small businesses is alive and well. I have reached out to the founders Nick Khoteev and Robert Morrison who were not quite sure why they have been removed from the rating. The company’s four full-time team members in Russia and the US are working on the product which has been approved by Salesforce and has been listed in AppExchange store this month. This self-funded startup was founded in 2010 and has also become a finalist of Red Herring Global. I have contacted Alena Vladimirskaya, the founder of Pruffi for further comment, and was informed that CloudBudget has invested over $1 million into the business and was therefore disqualified. Unfortunately one call to Robert Morrison of CloudBudget established, that the actual capital the founders put into the business is much smaller. The study claims that 9 startups from the previous rating are said to have raised further investment over $1 million. If it was the case, it would be a good indicator of the usefulness of this rating, as the predictor of successful startups (at least where success is measured in fund-raising). Alas as CloudBudget example show, it may not be the case. From public sources I could only confirm fundraising rounds by Ecwid, Zingaya, and Sapato. Ichiba has also recently raised funding from Rambler but the size of the investment has not been disclosed. On the other hand, 9 companies were simply exluded from the rating because experts did not mention them in their submissions for one reason or another. So Pliq.me, WebCrunch, Omyconf, Quadra, TZGen, Billing as a service, Zuckerberg calls, SportFort and Wannafun were thrown out not only from the top ten, but also from the top 101 shortlisted companies. Perhaps experts decided to withhold these names because they are aware of troubles looming over the teams, but I am inclined to think that the reality is different. To my knowledge, Omyconf and Wannafun have captured investors’ interest even through the money may not yet be on the table (further facts are off the record). Perhaps for the next rating Pruffi should modify its methodology of collecting initial data. Crowdsourcing the list of startups from the experts, no matter how time-efficient it may be, is still not enough to make sense in this fast-changing environment, as further research is essential. Perhaps the real value in a rating like this is to look at the development of the startup ecosystem over time to really understand what is happening with the companies and the teams. Independent experts submit lists of startups to Pruffi for evaluation. Thereafter the Pruffi experts evaluate startup teams (rather than business plans). 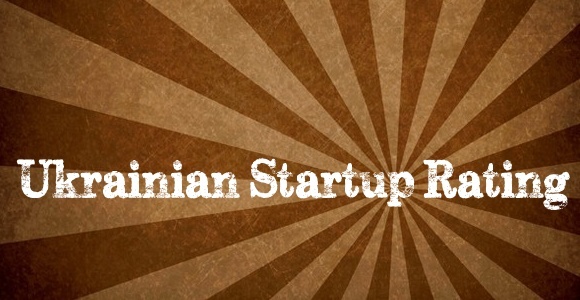 In May 2011 the rating included those startups which received 150 or more points. In January 2012 all teams which scored over and abover 120 points were included in the rating, which despite its name had to stretch to include 31 teams. All top startups are then broken down into three categories: A (breakthough), B (success) and C (hope). More on the methodology (in Russian) can be found here. Three more teams have been kicked out from May 2011 list based on the poor scores, and five of them made it to the rating in 2012. A social network, matching people on the principle of “I want / I can”. Online budgeting system that allows small / medium businesses to conveniently plan financial income and expenses. Internet service offering a new way to communicate with visitors to your site. A call from a widget installed on your site is instantly redirected to a landline or mobile number. Simple, convenient service for comparing financial services and their prices. Free full-featured online store designer. An excellent solution for e-commerce. Ecwid can be added to any site, and it also integrates into social networks. A project using a small application and the bigger server side to help you use your voice to create short text messages on your phone for SMS, E-mail, reminders, Twitter tweets, Evernote, or just quick notes. Context-oriented geo-scheduler, which allows the user to pose and solve problems in relation to the location of both the task at hand and the user himself. Service specializes in training services and monitoring the process of meetings. A web service for learning the English language. Automation of warehouse operations, sales, management accounting and other business procedures. Elba Electronic Accountant is a web service offering integrated tax accounting services. This web service’s features allow you to create and submit reports on your own, keep track of documents and consult with experts. An online publication for people who want to be part of the Internet industry. A marketplace where any individual or company can open its own personal online shop. Global open user-driven platform for the participants and organizers of professional forums, conferences, exhibitions, etc. (MICE). The platform assists in the creation of virtual social networks on events and their content. Comprehensive outsourcing for Internet stores. Services for protecting digital content from illegal distribution and distribution of content in peer-to-peer networks using the Bittorrent protocol. An online service for ultra-fast short-term rental of apartments and houses. A project bringing together people seeking new knowledge and are ready to share the same. Tools for working online. It enables anyone to undergo online training, to become an expert in various areas (finance, insurance, recruitment, etc.) and to make money online. A free service for automatically generanking technical specifications for developing websites of various levels of complexity. A system, which allows us service all “billing” transactions for the service’s clients. Social alarm clock. On this site, you can set the alarm clock for yourself and, at the right time, you will receive a call on your mobile phone, as well as to act as an alarm clock that calls and wakes up someone else, at a time of their choosing. Online resource for job searching and recruitment in IT and telecommunications. A service, where you can quickly find people to talk to, for interaction exclusively with people pf interest to you. Simple and intuitive online service for small business, solving all of its “paper” problems: from tax registration to delivery of reports and customer billing. Online platform for amateur sports teams, which allows for the exchange of internal information, to recruit new players and look for places to train.